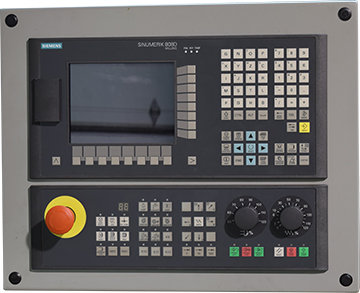 The Siemens SINUMERIK 808D Low-Cost CNC Kit for Milling is perfect for 3-Axis Knee Mills, Vertical Machining Centers, and Routers. 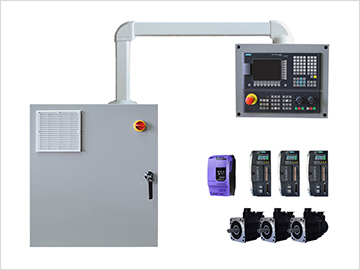 The control system is suitable for any machine that has 3 interpolating axes. With the 808D Basic Control servo sizes run from 4NM to 10NM, which will handle most small to mid-size machines. 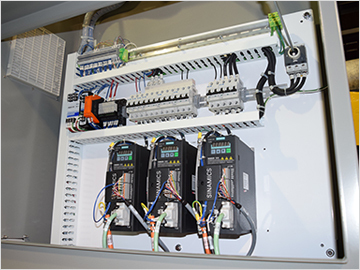 For machines that require larger servo motors, we step up to the 808D ADVANCED CNC System. 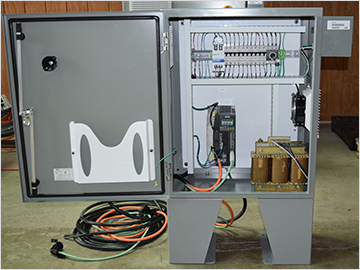 Our kits are some of the easiest to install and configure on the market. We can also provide custom kits for a range of machine tool applications, including: lathes, grinders, boring mills, VTLs, and more. 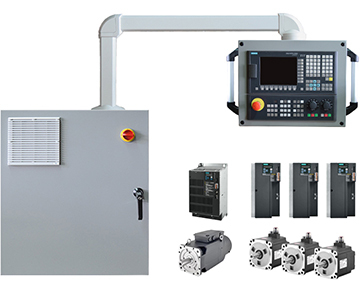 What type of Siemens CNC Kit do you need? Select the kit type that works for you. SINUMERIK 808D / 808D ADVANCED offers a calculation accuracy in the nanometer range – far beyond what even a high-end machine tool can achieve. Both CNCs also feature an intelligent jerk limitation function. This bellprofile acceleration characteristic not only guarantees smooth path behavior, but also reduces the stress on the mechanical system of the machine. As a result, SINUMERIK 808D / 808D ADVANCED guarantees maximum workpiece precision. When it comes to drilling and milling operations, SINUMERIK 808D / 808D ADVANCED is a top performer. Boring, centering, drilling, thread milling, pocket machining are no problem! There is even a machine cycle to support parameter input for high-speed mold & die applications. For turning a wealth of functions are available, such as machining standard contours, grooves and thread undercuts, cutting of various thread types — and even a powerful contour stock removal cycle. 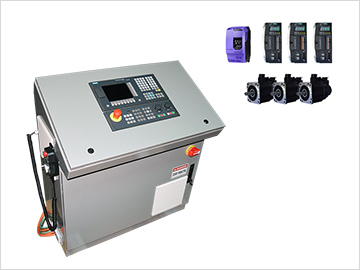 These cycles allow the optimum performance to be obtained from turning machines with just a few parameter settings. The SIMOTICS S-1FL6 motor, available with the 808D Advanced, has a maximum speed of 4000 rpm, so that axes can be operated up to their physical limit. Thanks to the 300% overload capability of the SINAMICS V70 drive and SIMOTICS S-1FL6 motor, faster acceleration and deceleration are possible with SINUMERIK 808D ADVANCED. As a result, the non-cutting operating times of basic machines are reduced and higher productivity is achieved. SINUMERIK 808D / 808D ADVANCED offers the common ISO code programming language. 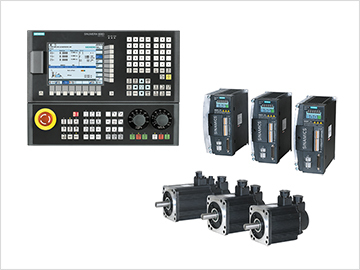 This allows operators familiar with other ISO-based CNC systems to quickly make a transition to SINUMERIK 808D / 808D ADVANCED. In addition to the standard G codes, such as G01, G02, canned cycles like G81 or G74 are also available. If an operator requires more technological features, the standard ISO codes can be mixed with high-level SINUMERIK CNC commands. With SINUMERIK 808D / 808D ADVANCED, part programs in a linear memory and names in the form of cryptic numbers are thing of the past. Part programs can be allocated meaningful names and the CNC memory can be easily structured by using sub-folders — just the same as for a PC. Download the Siemens SINUMERIK 808D Brochure. 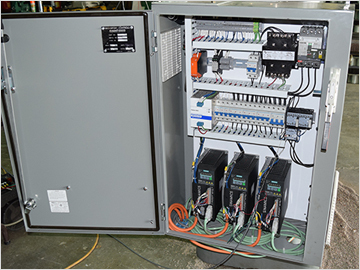 We can provide custom turn-key retrofit solutions for any machine tool application. 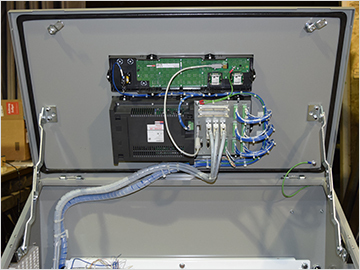 As an integrator we have performed hundreds of retrofits in over 26 states nationwide. 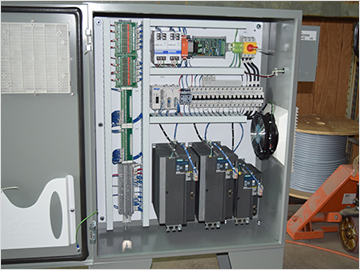 The Siemens 808D Control Platform allows us to provide some of the lowest price retrofit solutions in the industry. 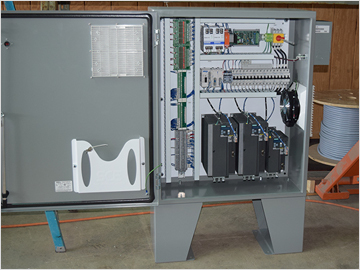 For applications that have unique requirements or require a high-end CNC System, we offer solutions on multiple control platforms, including: Fanuc, Siemens, NUM, and Power-Automation. We pride ourselves on our ability to provide quick and accurate budgetary proposals, so if you just need ballpark numbers for project down the road don't hesitate to give us a call. Call 765-533-6719 to speak with an integrator.